The Oregon Ducks star added to her legend status by missing a shot on purpose to get a triple-double — and calling out ESPN’s lack of coverage. Oregon women’s basketball unsurprisingly ran away with its Round of 32 matchup against No. 10-seed Indiana in blowout fashion, 91-68. And nobody stood out like potential No. 1 WNBA Draft pick Sabrina Ionescu, who continued to break open her commanding career NCAA triple-doubles lead by notching her 18th. The men’s record is 12 set by Kyle Collinsworth in 2016 in his fourth season — Ionescu is yet to finish her third season. This triple-double was unlike the others, though. With just more than two minutes left to play, Ionescu was stuck at nine rebounds. That wasn’t enough. So she said the hell with fate, and put extra spin on a three-point shot to ensure she could grab her own board and finish with maybe her final triple-double in front of the home crowd. And yes, the 44-percent three-point shooter admitted it was on purpose. Reporter: Did you miss that last one on purpose? Ionescu is the NCAA’s all-time triple-double leader by a wide margin. Not just women’s. ALL of college basketball. Ever. She averages 20 points, eight assists, and seven rebounds while shooting 44 percent from three-point range and 87 percent from the free-throw line. She’s been the star of a Power 5 basketball school for all three season she’s played, and led Oregon to a No. 2 seed in this tournament with a 31-4 overall record and counting. Sabrina Ionescu with her 18th career triple-double! The Ducks stars were themselves on Sunday, with Satou Sabally scoring 19 points with eight rebounds, and center Ruthy Hebard nearly double-doubling with eight points and 10 rebounds. Ionescu is the anchor who’ll ultimately take Oregon as far as it can go, but she has elite help. This team is more than just her, even if she is the face of women’s college basketball’s No. 1 offense. The Ducks were able to knock off title-contender Stanford earlier in the season by 40 points. They also added wins against ranked opponents like UCLA, Utah, Oregon State, and another championship-favorite Mississippi State. 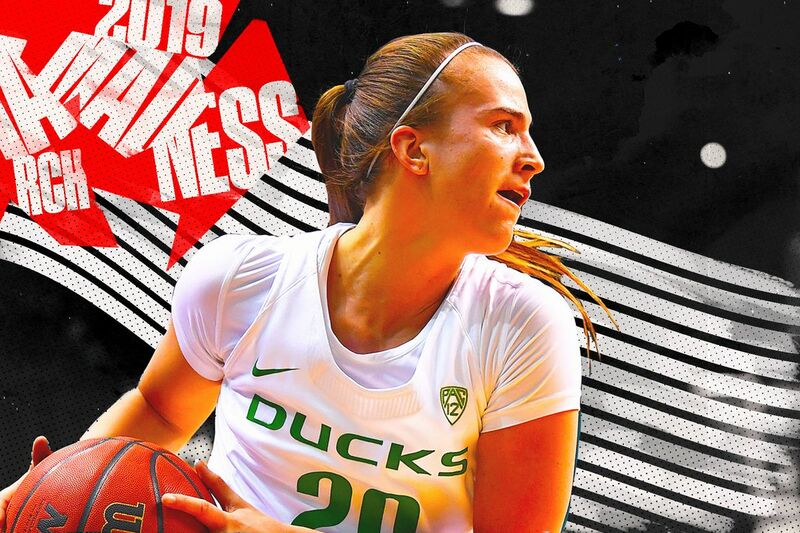 This could be Oregon’s year, and even if you’re late, Ionescu’s dominance is inviting you to hop on the bandwagon right now. Tiger Woods’ first Friday night outfit with his new green jacket should fill you with joy The 2019 Masters Champion went out to his own restaurant for his first Friday night out and he made sure everyone was aware of his recent achievement. The simmering Ben Simmons vs. Jared Dudley beef finally boiled over The end result: Dudley and Jimmy Butler were tossed after a hard foul on Joel Embiid in Game 4. Maybe Jared Dudley was the unlikely key to the 76ers chemistry The Sixers figured it out on the fly during the regular season. The first-round battles with an unlikely foe was exactly what Philly needed to come together. Paul George dunked at the buzzer up 12. Should the Basketball Gods punish him? The ethics of putting exclamation points on victories.